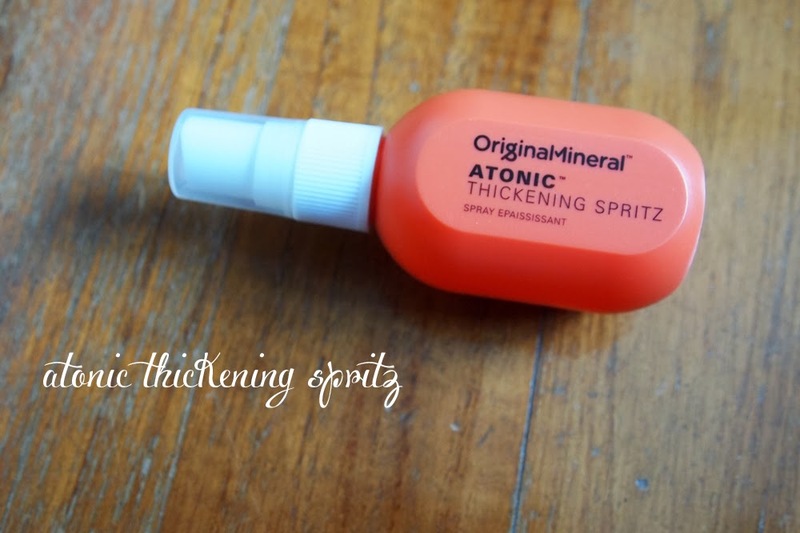 ANNNNNDDD The first post I'm putting up in this spare time will be on Original & Mineral's hair products which were so graciously sent to me awhile back. I'm actually pretty glad I gave myself awhile to try them out so my impressions would be more concrete and you guys will get a better idea of how each of them fare! 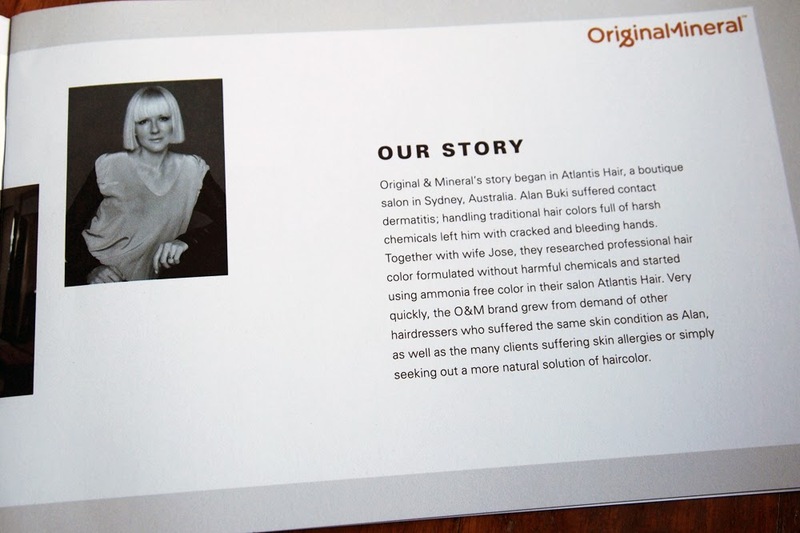 O&M’s unique philosophy has seen harsh chemicals removed in favor of quality botanicals and a number of essential oils helping to produce salon professional results teamed with a clean conscience. 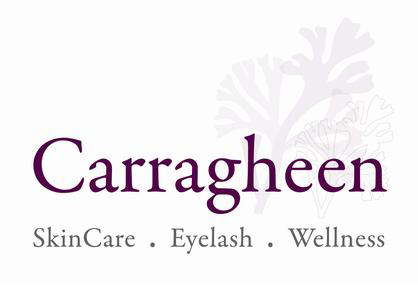 All products remain true to this vision and are free from Sulfates, Parabens, MIT, Phthalates, Triclosan and Propylene Glycol, meaning they are a kind to your body as they can be, without compromising on quality and style. The entire range is 100% recyclable reinforcing O&M’s commitment to being as gentle as possible to both your body and the environment. 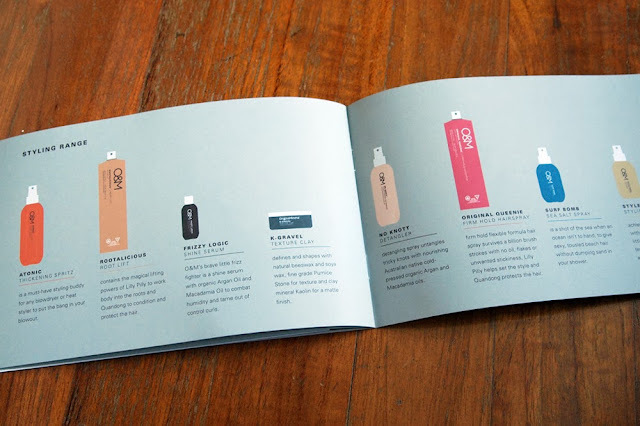 Note: Just a heads up, the products that I received are all travel sizes, about 10-50ml each. The products you will be purchasing, at the prices listed later on, are full sized bottles which can go up to 350ml. Give bang to your blowout. Oomph to your style. Atonic thickening spritz works in tandem with heat styling – blow dryers, straighteners, curling tongs – to create volume and add texture. Original & Mineral®, the Australian pioneers of Clean Colour Technology CCT and stress free haircare introduces the newly formulated Atonic. O&M’s hero styling product now comes reinforced with more staying power, with the addition of extra wheat proteins that thicken hair shafts to allow lift and volume control. Atonic’s new formula is perfect for fine hair but also works to add texture any hair type. It defines soft curls and tames flyaway hair without leaving it sticky or heavy. An inbuilt heat protector guards against damage to your locks, while a newly added tangy pomegranate scent takes this hero styling product to the next level. Defy humidity. Fight the frizz. Tame out of control curls. Achieve lustrous lightweight hair. 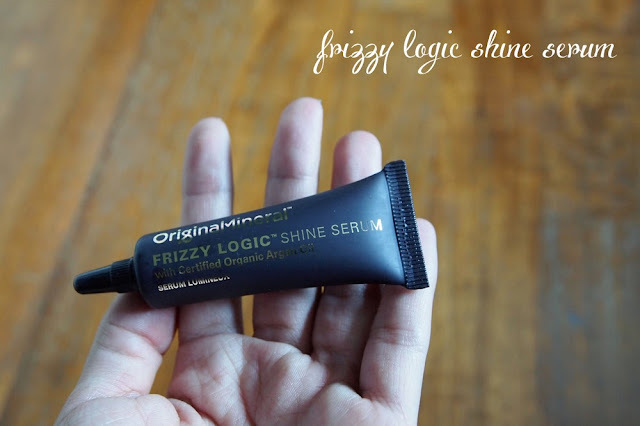 Original & Mineral®, the Australian pioneers of Clean Colour TechnologyTM (CCT) and stress free haircare, introduces the newly formulated Frizzy Logic. 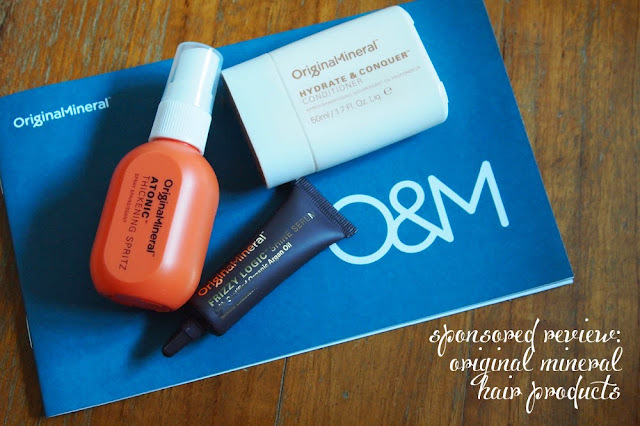 O&M’s stellar styling product now comes packed with a unique blend of Native Australian oils to infuse lashings of moisture and luster to strengthen hair. Certified cold-pressed organic Australian Argan oil and Evening Primrose oils create a barrier that calms and smoothes hair, protecting it from humidity, and adds shine to give a silky, lustrous texture. Well, I honestly do not style my hair that much. I am a very get-up-and-go kind of person, and I am sure many of you are this way too. We always watch shows where the main actress gets up looking gorgeous with perfect hair for the day and wish we were them right!? So yeah I cannot say I have tried this too often to be a HUGE advocate of the product, but when I do use it, there is significant OOMPH! I just spray it in, scrunch up my hair in places I want to be more "poofy" and tada! Easy peasy, lemon squeezy! The lasting power was about 3-4 hours, so it probably won't hold out for an entire work day. You might want to use it for parties or events with a little less humidity (meaning that there should be air conditioning) because moisture will definitely flatten your hairdo out. Also, I have thick hair so I feel that this might not be the best for my hair type because mine is so heavy. People with fine hair would definitely appreciate this very much because it just creates such natural volume without any stickiness or residue. 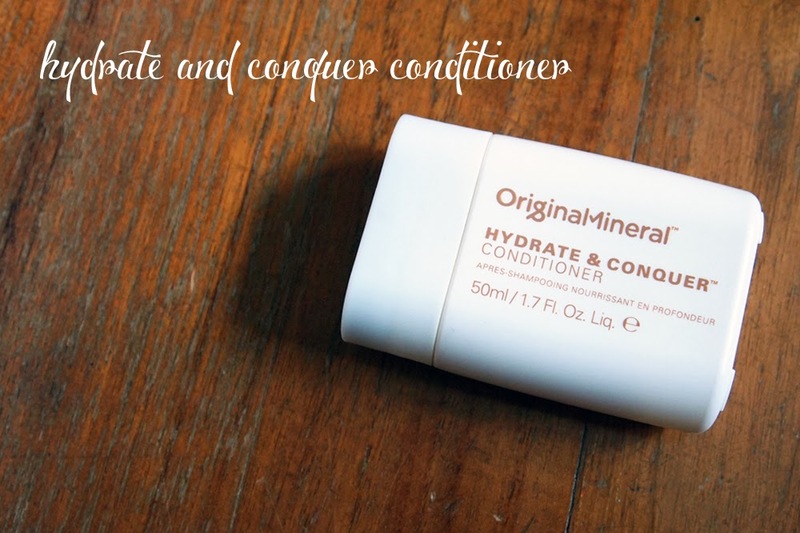 This conditioner is SOOOOOO hydrating without being sticky or gross. You know how some shampoos leave your hair sticky or oily after washing out? It is not the case with this one. Plus the effects LAST. I am a lazy person so I use this about 3 times a week, and this is because the smoothness that I get from this conditioner lasts for days after!!! I wash my hair every day, and on the one or two other days that I skip the conditioner, my hair still feels amazing. It is so soft that when I tie it up and let it down, it literally CASCADES and feels so smooth. I love it love it love it. 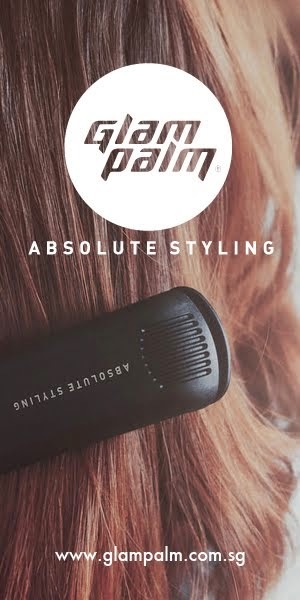 Oh yes, how I use it is just by using about a 50 cent coin amount in the palm of my hands, smoothen it out into my hair ends, wait about 3-5 minutes and wash it out with cool water. I like this a little less than the conditioner because it isn't as hydrating but but BUT BUT but it makes up for more than anything because it creates such shine in my hair that it is crazy. My waves are tamed and look so healthy even though I put about 10% effort into my haircare. Yes you heard right. JUST LOOK AT HOW SHINY MY HAIR IS!!! I have never had it look this way before, I promise. It makes me feel like a fairy princess - I kid.. not. lol. 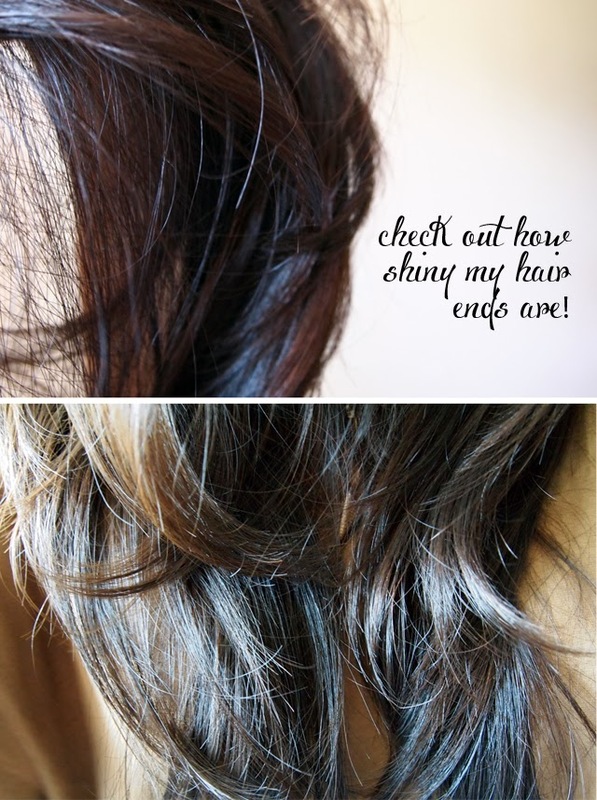 If you've got frizzy hair or just basically hair which looks and feels a little dull, why not try this on for size? It can be smoothed out both over dry or wet hair, though I think it absorbs better with the latter. I use about a 20 cent amount and smooth it over my hair ends as well. I just love the easiness and convenience of these hair products. I think that the products can be pricey but it's a small amount to pay for the results that you are going to get. I have seen some reviews where they aren't too impressed, so I'm going to say every hair is different and experiences all products differently. My friend swears by sulfate free shampoo but that just makes my hair all oily and disgusting. It is really an to-each-their-own situation, but I have listed down what each of them are better suited for. I would like to state that these aren't MIRACLE PRODUCTS so if you've been dyeing your hair like 10 times a month and bleaching it often, this won't make the cut. They're better for hair that is a little more natural - meaning that coloring and perming services are kept to a minimal, say about once a year thereabout? I've heard the debate many times on mineral/organic products versus the normal, but I mean it just sets my heart at ease that I'm putting my hair and skin into the care of a brand that cares about you internally rather than just focusing on external results. Original & Mineral is a wholesome brand, and I do set store by what I say. I cannot speak for their entire range, but I am pretty darned impressed with what I got!